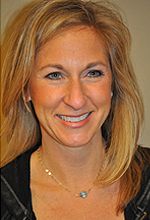 Jill Strauss is a managing partner LJI Collision Center, Orange Village Oh 44122 and independent collision center with a process center environment and directional production flow. Leading and executing lean disciplines and principles with the beneficiary being the customer with quality and timely repairs at a competitive price. Our mission is to build confidence in every customer and ensure the quality repairs superior customer service. Our commitment is to achieve and retain customers for life. When Jill is not managing LJI Collison Center, she loves spending time with her husband Victor of over 15 years and her two boys Victor and Carmen. My son just called me to tell me that you fixed the panel at no charge. Thanks so much to you and your team for your excellent service. We really appreciate it very much. I’ve never tipped a collision repair before. But you did an unbelievable job in my car. I am so happy that I was able to reconnect with you and your daughters, Lauren and Jill. Thank you again for the repair work that you did on my Honda Accord to clean-up and inhibit the spread of rust. I truly appreciate your kindness because I love my car, I wish everyone at LJI Collision Center all the best success. I would like to take this opportunity to express my appreciation to the family and employees of LJI Collision Center. It has been a pleasure working with you and you employees. I called a Lexus dealer regarding repairs to my car and LJI was highly recommended. From the first phone call communication I was greeted pleasantly, and felt comfortable making decisions about my vehicle. LJI was very thorough, explaining every detail of the problem, giving me a written estimate, options to correct the problem, and prices. Prices that was convenient and affordable depending on my option choice. The work was professionally completed in the allotted time given and to my satisfaction. I highly recommend LJI to my family, friends, neighbors, and whoever wants great service for their cars. Thank you LJI family and employees you have gained a friend, and a loyal and satisfied customer. Just a little added note to thank you all for all the wonderful work you have done for me and family! You are so good and what you do and we all appreciate it so very much. Car looks, perfect. Thank you again for all your help. You made this easy!